Hinc lucem et pocula sacra! The University of Cambridge is England’s second oldest university founded in 1209. It is the world’s fourth oldest university as well as the world’s fourth surviving university. The University was formed by former University of Oxford scholars who left the College after a dispute and has grown to become one of the world’s most prestigious University thanks to its rich history and an elite education that is beyond the standards of a typical prestigious university. The university currently operates 8 cultural & scientific museums including the Cambridge Botanic Garden and Fitzwilliam Museum. Its own 100 libraries house over 15 million books to which around 8 million belong to its main library, The Cambridge University Library. The University is currently ranked the 2nd best University (Times Higher Education) in the whole world with around 18,000 undergraduate and post-graduate students from all over the world. The university is split to 31 autonomous colleges where students are taught classes in small groups known as ‘’college supervisions’’ It structure is split to six schools that house roughly 150 faculties. The six schools are the ; Arts & Humanities, Biological Sciences, Clinical Medicine, Humanity and Social Sciences, Physical Sciences and Technology. This demonstrates that the University is very diverse, offering many courses to its students as well as being a University that is widespread, prestigious and one that is very demanding with its subjects. The main campus is situated in the center of Cambridge city however, its schools and colleges are scattered all around the city of Cambridge. Rankings-wise, as mentioned before the College is the 2nd best in the whole world surpassing the majority of prestigious universities in the United States and in the UK. The University of Cambridge is the 5th best university in teaching Arts & Humanities, The 2nd best university in teaching clinical, pre-clinical and health studies, 5th in engineering & technology, 2nd in life sciences, 6th in social sciences, 5th in Physical Sciences and 5th in Business & Economics, proving that no matter what subject you take this is one of the only universities who excel with every single subject they teach. No matter what specific subject you strive to achieve your diploma in, Cambridge University excels in all major career studies meaning that you will acquire the best of the best education no matter what subject you chose, thanks to its brilliance in education, its prestige and its overall contribution to educational research and progress. It’s no wonder why 92 of its affiliates have been awarded Nobel Prizes, demonstrating the Universities State of the Art education thanks to its wonderful professors, and equally competent students. The University also has a very big student life. The students are found to be participating in sports such as soccer or rugby (two of the biggest sports) and even competing with other universities. Student unions and clubs are very prominent where students take advantage of them to brainstorm in subject matters or compete with other students in activities such as chess. The application requirements for Cambridge University are straightforward and simple. However to actually meet requirements and be accepted, the process is very complicated. The university is highly selective when they look for what student they decide to offer a place in Cambridge. Students who have acquired straight A’s have been rejected in Cambridge, and/or had their place offered to someone else. This is because Cambridge not only focuses on the academic performance of the student, but also focuses on mainly the impression the student gives. A student that gives the impression of an ambitious, hardworking and elegant student who has acquired straight A’s will have a much higher possibility in getting accepted than a student who may be an A-grader, but does not show promising interest or capability to perform well. Even then despite the higher chances, it is still a very difficult process to be considered an offer in Cambridge. For a student to be considered, they are required to have obtained all A’s in their AS and A2 examinations as a minimum requirement. However, judging by the fact that the university is very selective, students will be mostly secure with all A* passes in all A level courses. The very same can be said with European Baccalaureate and International Baccalaureate students where the student will be mostly secure with an 90% overall in EB and over 40 points in IB higher level examinations. Even SAT students are to be expected to have acquired above A’s in examinations. Needless to say, the entry examinations may be very difficult but if the student manages to be accepted, he/she will obtain not only the best education there is available, but a degree that will practically grant them entry to any job of their dream. The Fees in Cambridge University are quite costly. For students who are UK and EU residents, a tuition fee of £10,065 generally is required to be paid annually while international students are expected to pay a minimum of £19,197. The University of Cambridge is the world’s third oldest surviving university and was founded in 1209 by scholars of the University of Oxford. It has many similarities with Oxford, and the two universities are often referred to as Oxbridge. Cambridge has a very long list of notable alumni from across the disciplines. Among the many there are Charles Darwin, Sir Isaac Newton, and Stephen Hawking, currently the Director of Research at the Centre for Theoretical Cosmology. There is David Attenborough, whose voice you might know from the Life series, and anthropologist and primatologist Jane Goodall. A number of authors whose names you might know include Zadie Smith, Virginia Woolf, C.S. Lewis, A.A. Milne, and there are many more! Want to find some other names in your specific field? Go ahead and Google or use your favorite search engine. You’ll have plenty of interesting alums to research for hours! Chances of finding the book you need or a quiet place to work at Cambridge are good. The University of Cambridge has over 100 libraries. The central library alone (the Cambridge University library, or the ‘UL’) has approximately 8 million volumes, and is able to request a free copy of every book published in the UK and Ireland. Another of its well-known libraries, the Wren Library, the Trinity college library, hosts A.A. Milne’s manuscript of Winnie-the-Pooh, books from Isaac Newton’s personal library, and early Shakespeare editions. When you don’t have your nose in the books, Cambridge is a great place to enjoy some classically British humour. The ‘Footlights,’ the Cambridge University dramatic club, is famous for its comedy shows. Previous Footlights members have come to dominate British comedy, forming groups such as Monty Python. Past presidents have included Eric Idle of Monty Python, Tony Slattery of Whose Line is it Anyway and Douglas Adams, author of The Hitchhiker’s Guide to the Galaxy. The University has 31 colleges. In addition to being admitted to the university itself, students must also be admitted to one of the colleges. Each college has its own unique characteristics. The oldest college of the University is Peterhouse, which was founded in 1284. Three of the colleges admit only women (Lucy Cavendish, Newnham, and Murray Edwards). The University is referenced in many novels, poems, television shows, and films. Scenes from various television shows and films have been filmed at the University, including the opening scenes of the Chronicles of Narnia: The Voyage of Dawn Treader (2010), and many scenes from the recently released The Theory of Everything (2014). Affiliates of Cambridge University have won 90 Nobel Prizes, the most of any institution in the world. Nobel Prizes have been won by Cambridge affiliates in every category. Frederick Sanger, Nobel laureate in Chemistry from St John’s College, and a fellow of King’s College, is one of a very small handful of Nobel laureates who has won the Nobel Prize twice! Whether you are hoping to dip a blade into the River Cam–the main river flowing through Cambridge-as a member of one of the rowing teams, or you want to participate in something else, the University offers a wide array of sports. It even offers sports like real tennis, and fives, which have gone extinct everywhere else in the UK. Students can try out for the Cambridge University teams – ‘the Blues’ – or participate at their colleges. Cambridge town is a small city in Cambridge shire, United Kingdom with a very beautiful background. You will see that the town has a very medieval feel to it, where it includes the Kings College Chapel, the Cavendish Laboratory and the Cambridge University Library. 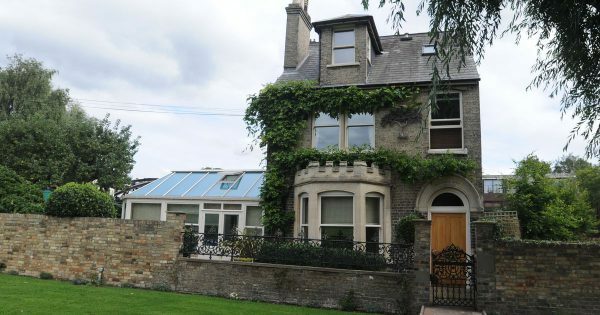 The city is renowned for housing many colleges and universities such as Cambridge University, St John’s College and Anglia Ruskin University, an independent university that evolved from Cambridge School of the Arts & Technology. Cambridge is home to Silicon Fen, a region home to large clusters of high tech businesses such as software, electronics and biotechnology whom all have connections to the University of Cambridge. The city of Cambridge was once home to the world’s most famous academics such as mathematician and physicist Sir Isaac Newton, Philosopher Bertrand Russell and Ludwig Wittgenstein, all former Cambridge students. The city of Cambridge is a beautiful city that has very polite, educated and friendly people. This is reflected by the town’s history of being a university town known for its education and history, setting it apart from a typical City/Town in the United Kingdom. The locals are proud of their city and are known to be very polite and helpful to foreigners due to the fact that they want to represent their city in positive light, as well as the fact that due to the strict and serious education, the vast majority of the locals are young educated gentlemen who are not only academically proficient, but also very well-mannered and polite. Cambridge is also a very safe city with minimal criminal incidents, guaranteeing the safety for students as well as tourists, teachers and people who get the chance of visiting and/or living in Cambridge. In overall, Cambridge is a wonderful city where the people can relax, study and live in a safe environment that is uplifting and very comfortable. 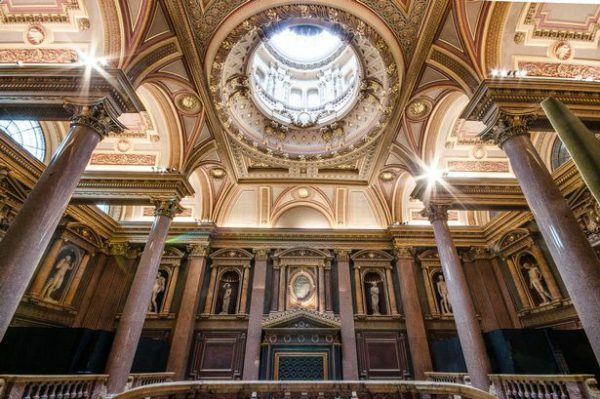 Known by locals as ‘’The Fitz’’, this museum houses the treasures of the seventh viscount Fitzwilliam presented to his old university. One can also find Egyptian, Roman and other famous pieces such as old artworks, classic armor, watches, etc. If you are an art and history lover, this place is a must visit. A house belonging to Michelin Star Chef Daniel Clifford, here you can relish his delicious creations such as the Jack Daniels Mackerel and the delicious Sea Scallops. If you are a foodie, this is a must stop. 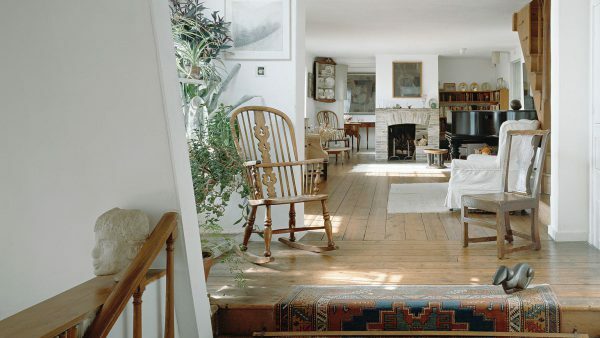 A museum house that features pieces belonging to HS’ Jim Ede, a London Tate Gallery curator, this house contains unique architecture, art pieces from famous painters such as Henry Moore in a small and unique Cottage. The British cuisine, although it may be considered as simple, is actually quite tasty and satisfying. You have the Shepherd’s/Cottage Pie, a delicious pie made out vegetables, potato crust and meat such as minced beef (cottage pie) or lamb (shepherd’s pie) served with a beverage of your choice. 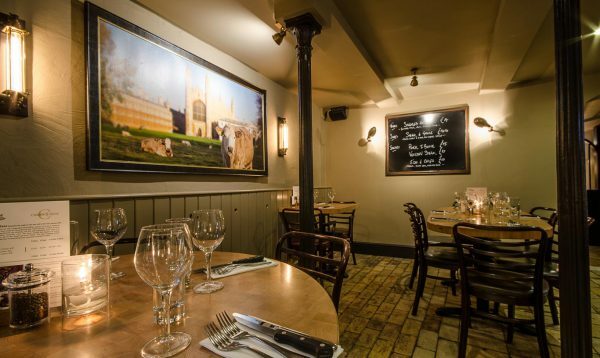 There’s also the famous Tikka Masala, an original dish invented by British Indians that is so popular that one could simply never miss out on trying one, be it in Cambridge city, London or any other city within the United Kingdom. The Cornish Pasties, Meat and Chicken pies originating from Cornwall also have spread all over Britain due to their popularity and remain a popular dish within the whole of the UK. Finally, the classic and popular fish & chips are available all over the UK and a must try dish due to its strong ties among the British culture and Food history. 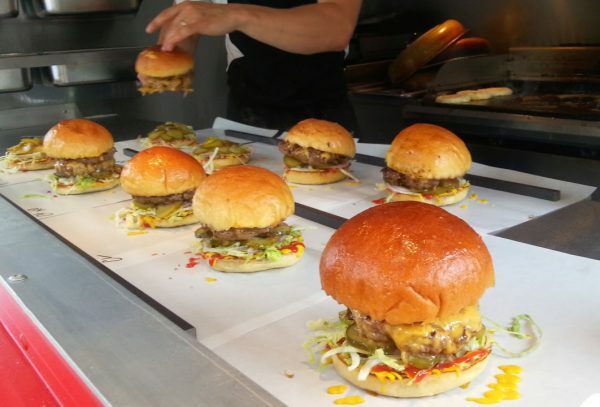 A delicious restaurant that serves incredible burgers and steaks, originally starting as a burger stand, this has evolved into one of Cambridge’s finest and tastiest Steak and Burger restaurants. A restaurant with a beautiful view toward the city, Chop House features some of the finest British style dishes such as the classic fish & chips or the beef heart steaks. This restaurant is simply delicious and with its high class inner décor, we get a sense of both class and ambience. 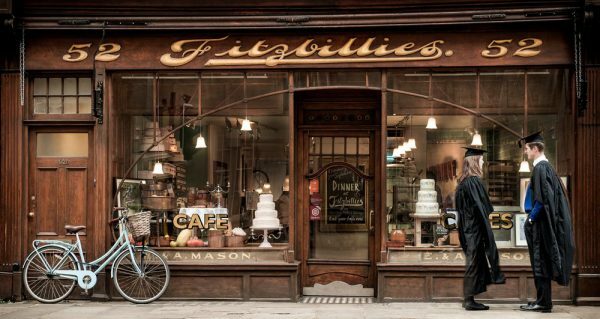 A local Bakery in Cambridge city, here we will find delicious pastries, cakes and sweets all served with artisan coffee or gourmet teas. If you are looking for a place to sit down, relax, have a tea or eat cakes then this place is definitely for you. A full list of all Departments and Colleges are available. Email addresses for staff and students can be found in the email directory. Below is a list of some of the most commonly requested telephone numbers in the University. Prefix the number with the STD code 01223 (+44 1223 from outside the UK) unless another code is given. There is also a more detailed list of contacts in the administrative offices for those that have a more accurate contact requirement.